The analysis of the educational system’s development in this chapter focuses on the demographic changes taking place within the system. 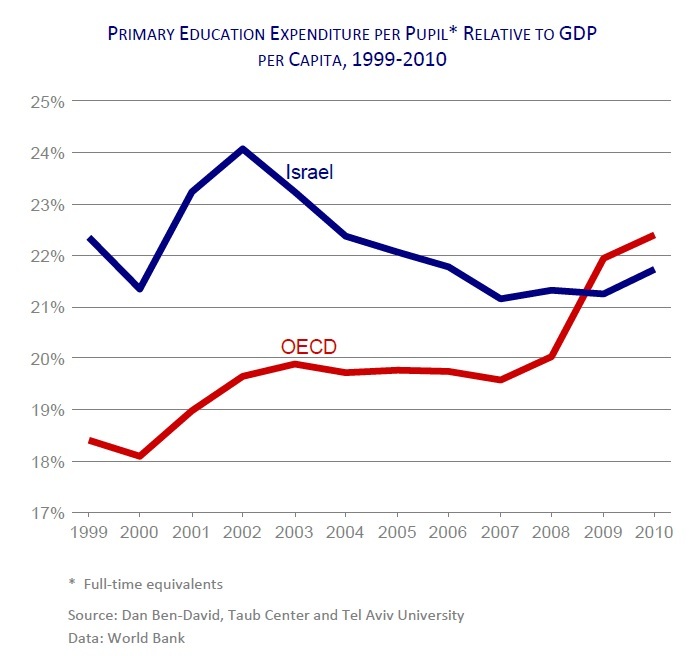 The initial part of the chapter shows that while Haredi (ultra-Orthodox) and Arab Israeli shares of the pupil populations are growing, there appears to be a recent slowdown in this growth. An examination is conducted on how this trend is reflected in changes in the distribution of the preschool population. The second part of the chapter concentrates on the national expenditure on education. In recent years, there has been a large increase in education spending – although spending per pupil relative to GDP per capita has been falling further and further behind the OECD average. The final section deals with the expected impact of the Trajtenberg Commission’s recommendations in the field of pre-primary education against the background of the latest developments in the budgetary realm and in relation to the OECD countries.